The Zephyr Project community is preparing for the release of Zephyr OS 1.14, which is our largest collaborative endeavor to date! We are thankful for all of the support from members and talented developers for helping us meet so many technical milestones. 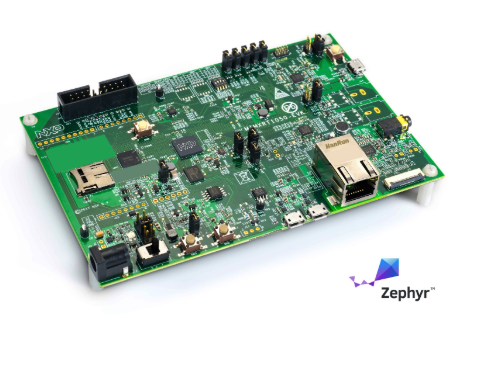 To show our appreciation, the Zephyr Project will be sending the 5 contributors with the most bugs fixed in Zephyr OS 1.14 an i.MX RT1050 from our Platinum member NXP! This board combines high performance with real-time functionality. The i.MX RT series of crossover processors are designed to support next-generation IoT applications with a high level of integration and security balanced with MCU-level usability at an affordable price. Using the i.MX RT1050 EVK, developers can simplify product design with MCU-like usability and leverage current toolchains, including MCUXpresso. The i.MX RT1050 EVK is a 4-layer through-hole USB-powered PCB. At its heart lies the i.MX RT1050 crossover processor, featuring NXP’s advanced implementation of the Arm® Cortex®-M7 core running at speeds up to 600 MHz. To be eligible to win one of the i.MX RT1050 please send a list of all your closed bugs and issues to info@zephyrproject.org. Be sure to include your name and links to the bugs you are responsible for fixing between October 2018 and the release of Zephyr OS 1.14 in mid April 2019. Zephyr Project TSC members are not eligible for this contest. Non-TSC members from Zephyr Project member companies are welcome and encouraged to participate. There is still time to get involved! If you are a new contributor to Zephyr Project a great place to get started is to check our Issues section of GitHub. Please follow the Contributor Guidelines to make sure your contribution adheres to our coding standards. Please contact Thea Aldrich at info@zephyrproject.org for questions. Stay tuned to the Zephyr project blog for more contests and giveaways sponsored by NXP and other Zephyr Project members. The winners of this contest will be notified 1 week after the release of Zephyr OS 1.14 (LTS). To learn more or ask questions, sign up for the Zephyr Project Slack Channel: https://zephyrproject.slack.com/.